Grizzly Bear 14685 - Toys & Learning - Schleich Specialists - 100% - Fast Service - Sale Prices. This grizzly bear does look grizzly - with his teeth bared and his eyes staring straight at you - if running would work then running it would be. 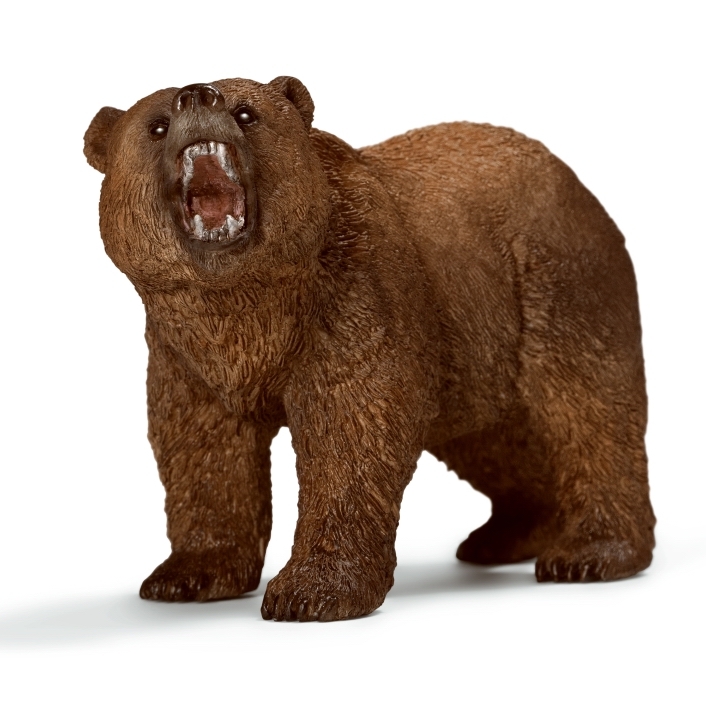 This model Grizzly Bear is one of the top quality hand finished products from the Schleich range of wild animals. There are few better ways of widening a child's horizons and helping them begin to explore the world than playing with educational toys. The whole range of Schleich models can not be bettered because they are so well designed and so robust - all are made to the highest standards, are in compliance with relevant safety regulations and are CE tested and approved. Fierce looking Grizzly Bear, Wonderful detailed expression lovely model! I think the Schleich new Grizzly bear range is great - it is already proving to be a big hit!